We are adding significant capability, more configuration options and offering greater integration throughout the GTN 650/750 touchscreen navigators, the G500 TXi/G600 TXi and G500/G600 flight displays, as well as the GFC 600 & GFC 500 autopilots. Additionally, the G5 electronic flight instrument for certificated aircraft is being approved for use as a standby instrument when paired with the G500 TXi or G500 flight displays. The GFC 500 autopilot will also be approved for installation with the G500 TXi or G500 flight displays, while the addition of descent vertical navigation (VNAV) within the GTN will aid in descent planning. With Garmin, pilots receive a seamlessly integrated cockpit that offers a more harmonious transition among avionics, which reduces pilot workload and provides a superior in-flight experience. To assist in descent planning and energy management, pilots can take advantage of VNAV profiles throughout the enroute and terminal phases of flight within the GTN 650/750 touchscreen navigators when they’re paired with the G500 TXi/G600 TXi, G500/G600 or G5. Within the GTN, pilots can easily enter altitude constraints on the flight plan page to set-up a vertical descent profile. Pilots also experience a near-seamless transition from VNAV to an arrival and instrument approach. Once an arrival or approach is loaded and activated, the GTN automatically populates step-down altitudes or any applicable altitude restrictions. If ATC issues an unpublished altitude restriction, pilots can enter those altitudes manually into the active flight plan under the VNAV field. G500 TXi/G600 TXi, G500/G600 or G5, a vertical deviation indication (VDI) also populates on the display to provide vertical guidance for the descent. Additionally, when the GTN 650/750 series is paired with the GFC 600 or GFC 500 autopilot, pilots can select the VNAV button on the mode controller to fly a fully- coupled VNAV profile. Our ever-popular G5 electronic flight instrument will soon be approved as a standby flight instrument when paired with the G500 TXi or G500 flight displays. In doing so, any adjustments made to heading bugs, altitude select, airspeed bugs, as well as the barometric pressure setting are automatically synced from the G500 TXi or G500 displays to the G5. Flight director and autopilot mode annunciations from the GFC 500 can also be viewed across all displays, including G5. Over 600 aircraft will be approved for the installation of G5 as a standby flight instrument alongside the G500 TXi or G500 flight displays. Aircraft owners can soon pair the economical GFC 500 autopilot with the G500 TXi or G500 flight displays, offering a fully-redundant, all-glass cockpit when paired with the G5. For example, in the unlikely event of a G500 TXi flight display failure, the G5 will remain coupled to the GFC 500 autopilot and continue to fly normal autopilot modes, including altitude select, heading, vertical speed and more. This compatibility significantly reduces pilot workload. G500 TXi/G600 TXi or G500/G600, pilots can view this feature within the HSI or lateral deviation indicator on the flight display. When GPS is the selected CDI source, information such as a course pointer, lateral deviation, station ID and the numeric inbound course automatically populate on the HSI in gray when an instrument approach is loaded. For ILS and GPS approaches with vertical guidance, a preview of the VDI also populates on the TXi series, G500/G600 or G5, allowing pilots to view glideslope or glidepath deviation prior to the descent. 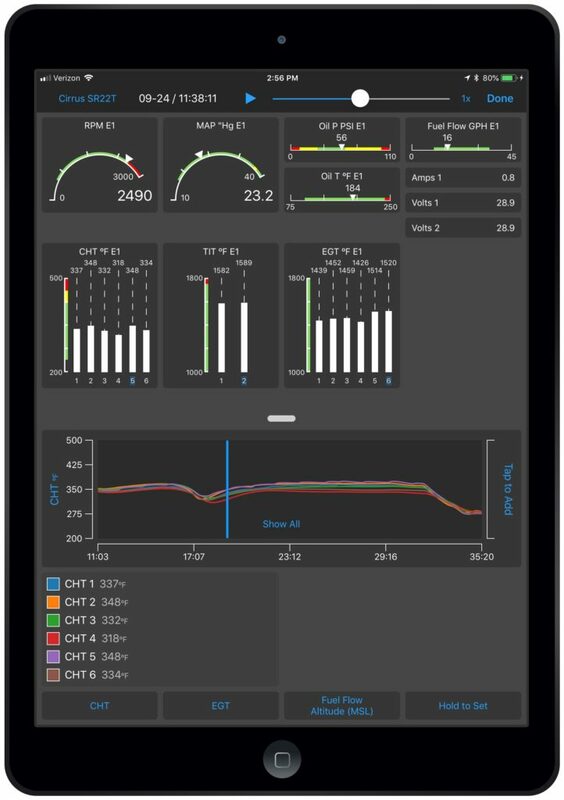 Exclusive to Garmin, customers can now utilize Garmin Pilot on Apple mobile devices to view real-time engine information via Flight Stream 510 when the app is paired with an EIS-capable TXi flight display or the G1000 NXi integrated flight deck. Upon landing, the flight data log is wirelessly uploaded to the flyGarmin website and is stored securely within the app and on flyGarmin. Within the flyGarmin website, pilots can access detailed information related to any flight, play-back the flight and download data logs. 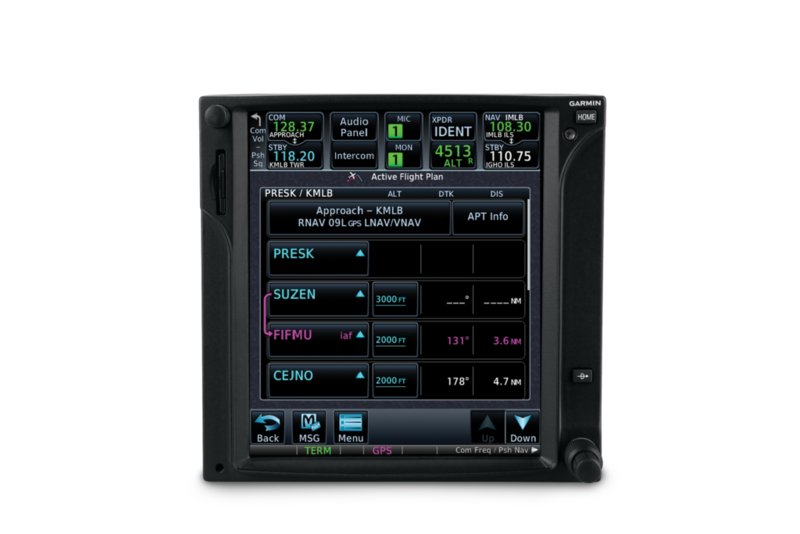 The 10-inch TXi flight display can be configured to a 40% PFD and 60% MFD split-screen layout. 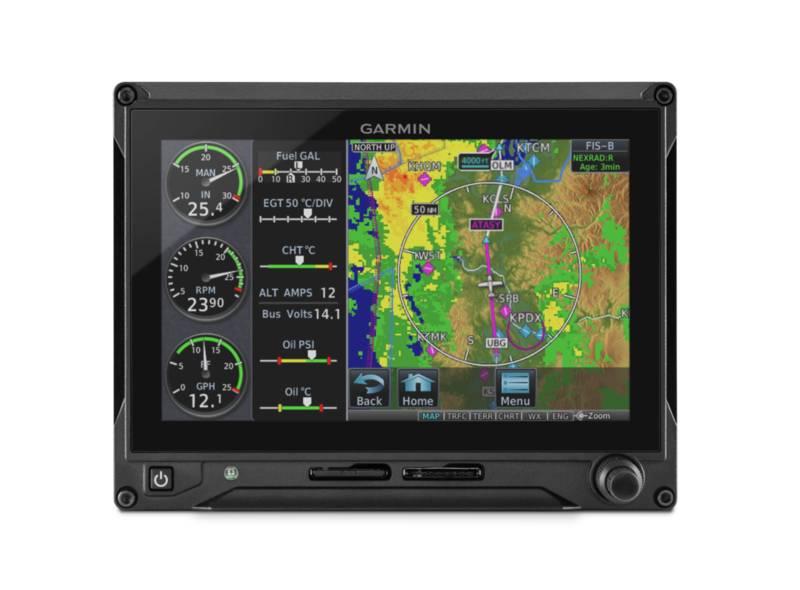 On a 7-inch portrait or landscape G500 TXi/G600 TXi, the displays can be configured to view moving map and single-engine information simultaneously. The 7-inch landscape TXi display can be used as a PFD, adding installation flexibility in aircraft panels that are space-limited. With a compatible camera, pilots can optionally display multiple video inputs on the MFD of a TXi display. Within EIS-capable TXi displays, pilots can select and view individual cylinder head temperature (CHT) values. The addition of new audible and visual terrain proximity alerts, including, “terrain ahead, pull up”, “obstacle ahead, pull up” and “wire ahead.” An aural “five-hundred” annunciation is also available when the aircraft is on approach to land. Pilots can now set a user-defined waypoint as an airport so terrain alerts are minimized while landing at an airport that is not in the aviation database. 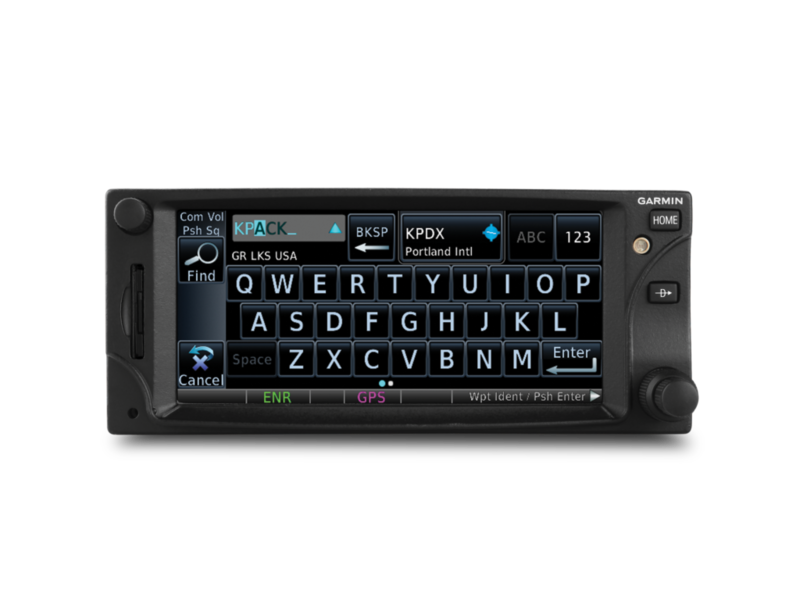 The addition of a QWERTY keyboard within the GTN 650/750 and the G500 TXi/G600 TXi gives pilots a more familiar way to input information. Pilots can configure COMM sidetone settings within the GTN series. Irish, Swiss and English coordinate systems are now supported so it’s easier for pilots to enter GPS coordinates in various formats, including latitude/longitude, degrees/minutes/seconds and decimal degrees. The new GWX 75 weather radar is now supported by the GTN touchscreen navigators and the G500 TXi/G600 TXi flight displays, which offers four-times more color contouring than typically found on other weather radars on the market. 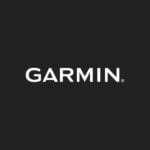 These software updates are available from Garmin Authorized Dealers for hundreds of aircraft makes and models, at no charge (dealer installation charge may apply). Our avionics are supported by our award-winning aviation support team, which provides 24/7 worldwide technical and warranty support. 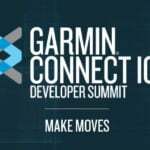 For additional information, visit www.garmin.com/aviation.